World’s end is the brainchild of Jonathan Maltus. 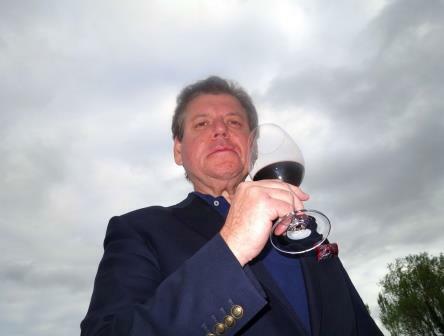 Jonathan Maltus is much better known for making wine in St. Emilion from a variety of different terroirs. Maltus also makes wine in Australia. Chateau Le Dome and Chateau Teyssier are his 2 best known, Right Bank wines. You’d think with all that experience producing Right Bank wines, he would focus on Merlot and Cabernet Franc. But that is not the case here. At first, Jonathan Maltus wanted to buy his own vineyard. He came close to purchasing property on Spring Mountain. When that initial deal fell apart, he tracked down some very good, sources for grapes chiefly from Andy Beckstoffer and it was off to the races. 2008 marked the debut for the World’s End in Napa Valley when 3 wines were produced. Releases have not always taken place. For example, in the exceedingly difficult 2011 vintage, World’s End did not release any wine, selling off their entire harvest in bulk. Perhaps, that caused Jonathan Maltus to find a additional, new growers to purchase fruit from, as they did not release any wine from the sublime 2012 vintage either. By 2013, they were back on track with a slate of new releases. Jonathan Maltus loves music. That is part of reason I always enjoy a visit with him, as we have played rock music trivia pursuit and name that tune, where you wager on how fast you can name in song. Obviously, his love for music found its way to the World’s End wines, which is the inspiration for all of his wines names as you will see. The main sources for grapes used to produce World’s End wines comes from To Kalon Missouri Hooper, Vineyard D Missouri Hooper, Vineyard B Circle S, Coombsville Sugarloaf Mountain Beckstoffer Vineyard, Georges III Carneros Lake Vineyard, Pritchard Hill and the Stagecoach vineyard. Several of the wines are Left Bank Bordeaux styled blends with various amounts of Cabernet Sauvignon, Cabernet Franc and Merlot. Wordl’s End If Six was 9 is a Jimi Hendrix track from his second LP, Axis Bold as Love. The wine is a blend of 94% Cabernet Sauvignon and 6% Merlot. World’s End Crossfire, which takes its name from Stevie Ray Vaughan song is made from 100% Cabernet Suavignon from the Rutherford appellation. World’s End Little Sister is a Merlot based wine. World’s End Wavelength, which takes its name from a Van Morrison album is a blend of 40% Syrah, 30% Cabernet Franc and 30% Petit Verdot. World’s End Against the Wind, which comes from a Bob Seeger number is made from a blend of 75% Cabernet Franc, 20% Merlot and 5% Cabernet Sauvignon. World’s End Stir It Up – Produced from 100% Cabernet Sauvignon planted on Pritchard Hill. Inspired by a Bob Marley song, aged in 100% new, French oak barrels, close to 1,000 cases of wine are produced each year. World’s End Rebel Rebel, of course takes its name from the David Bowie recording. The wine is made from 100% Chardonnay from vines planted in the Carneros appellation. World’s End is best served at 15.5 degrees Celsius, 60 degrees Fahrenheit. The cool, almost cellar temperature gives the wine more freshness and lift. Young vintages can be decanted for 1-2 hours, depending on the character of the vintage. This allows the wine to soften and open its perfume. Older vintages might need very little decanting, just enough to remove the sediment. World’s End is best served with all types of classic meat dishes, veal, pork, beef, lamb, duck, game, roast chicken, ribs, hamburgers, barbecue, roasted, braised, grilled dishes and stews. World’s End is also good with Asian dishes, hearty fish courses like tuna, salmon, mushrooms and pasta. The white wine of World’s End is best served with all types of seafood and shellfish, sushi, sashimi, chicken, veal, pork and cheese. The best of the Napa Valley wines from Jonathan Maltus is full bodied, concentrated, rich, forward and lusciously textured. The fruit is very ripe, but there is freshness that coexists with all the sweetness, making this quite nice to drink today. If you know me, you know it's impossible for me not to want to taste any wine named after a Jimi Hendrix number. Not my favorite cut, but it is still very cool. Forward, upfront, with nothing hidden behind the curtain. Instead, this what you see, is what you get wine serves up a blast of licorice, smoke, dark chocolate covered cherry and blackberry, with a plush, round texture and a healthy dose of oak in the finish. Forward, lusty, luscious, sweet, ripe, ready to go style of California Merlot with a chocolate covered, cherry, licorice and oak note that carries through from start to finish. Inky, dark purple in color, the perfume offers blackberry jam, espresso bean, cassis, chocolate and earthy aromas. This flashy, richly textured, round wine ends with a boatload of sweet, fleshy, black cherries and coca powder. Produced from 100% Cabernet Sauvignon from the Beckstoffer Missouri Hopper Vineyard, the wine clocks in at 14.5% alcohol. 100% Cabernet Sauvignon from Beckstoffer To Kaylon Vineyard, the wine offers roasted coconut, coffee, blackberry, blueberry and cassis flavors. Sweet fruit with suave textures, hints of coffee, kirsch and blackberry make up the finish. 14.5% alcohol. Produced from 50% Syrah and 50% Cabernet Franc from the Sugarloaf Mountain Vineyard, the wine displays cassis, fresh herbs, ground black pepper and coffee notes. Soft and elegant in style, ripe, but not over the top, the wine finishes with blackberry liqueur sensations and ample freshness. 14.6% Alcohol .